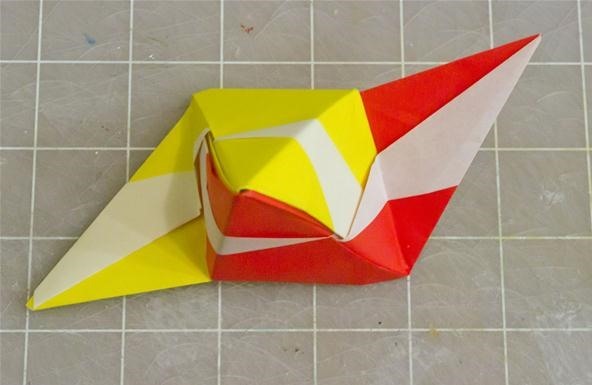 Last post, the Sonobe unit was introduced as a way to use multiple copies of a simply folded piece of paper to make geometric objects. 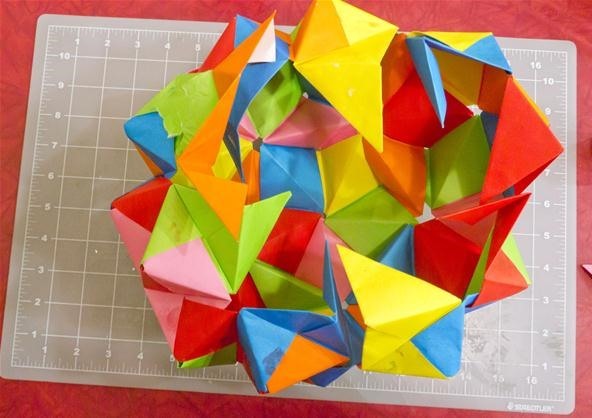 In this post, we are going to explore that concept further by making two more geometric models. 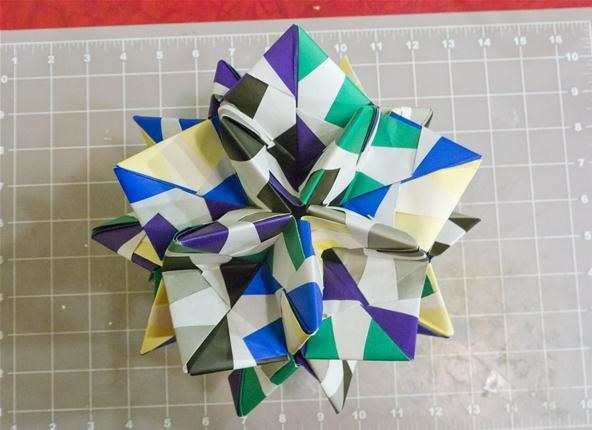 The first is the truncated icosahedron, which is a common stitching pattern for a soccer ball. 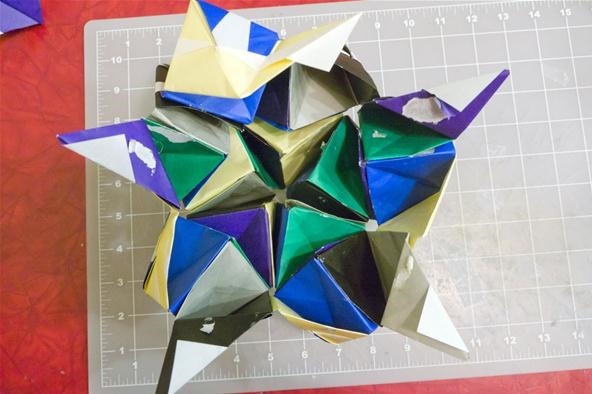 The second was supposed to be the pentakis dodecahedron, but through systematic errors last night, I actually built a different model based off of the rhombic triacontahedron. All of these models are built from multiple copies of the sonobe unit. 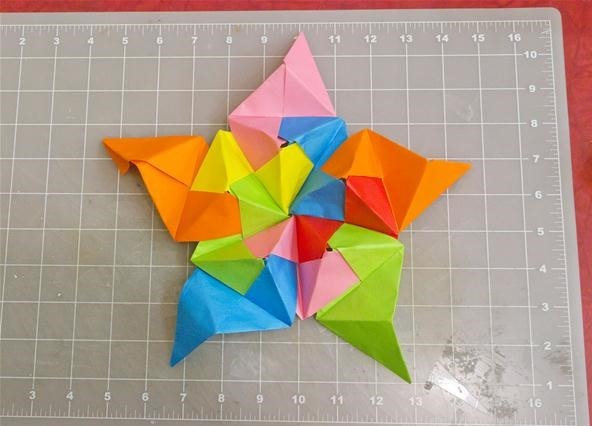 To learn how to construct this unit, you should view Tuesday's post. First, make 90 Sonobe units. Use 3 of them to form a pyramid. Connect 5 pyramids together in a ring. 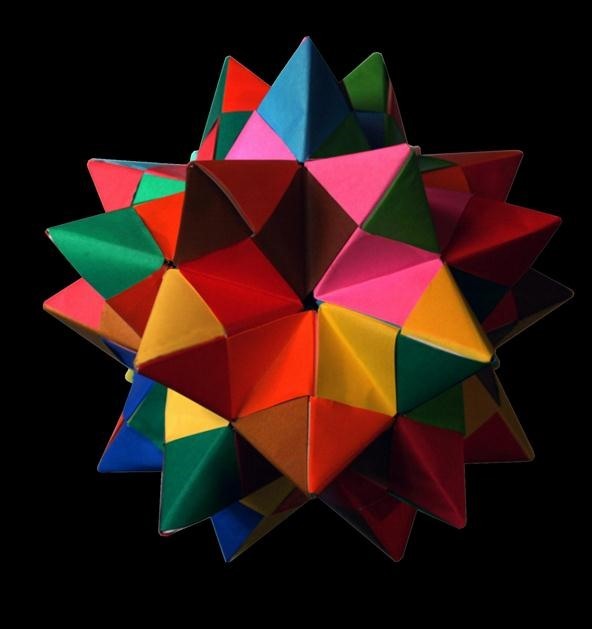 A truncated icosahedron is formed by taking 12 pentagons and completely surrounding each of these by a ring of 5 hexagons. So now take and form a ring of 6 pyramids connected to the five from the last step. Connect another ring of 6 to the ring of 5. Here's what it will look like with the ring of 5 completely surrounded by 5 rings of 6. Now between each of the 5 rings of 6, construct a ring of 5. The object will really begin to curve into the 3rd dimension. Finish surrounding each of these groups of 5 with groups of 6. Repeat these steps making sure each ring of 5 is completely surrounded by a ring of 6. If the object ever looks really lopsided, it is probably because you have 2 rings of 5 connected to each other. Here's the finished object. 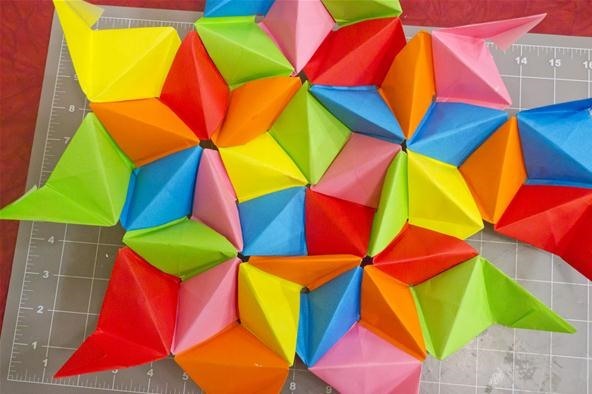 Notice all of the triangles you can see from this angle. 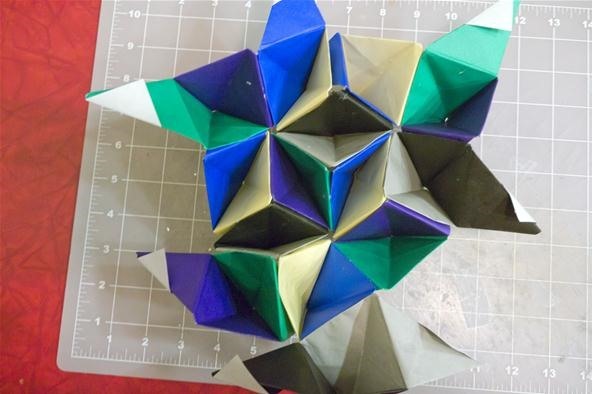 Here's another view where you can really see the pentagons and pentagrams. 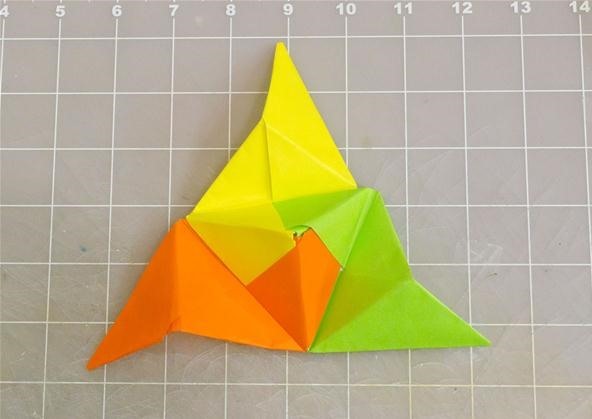 This variation works exactly the same as a standard Sonobe Unit. It just looks different. 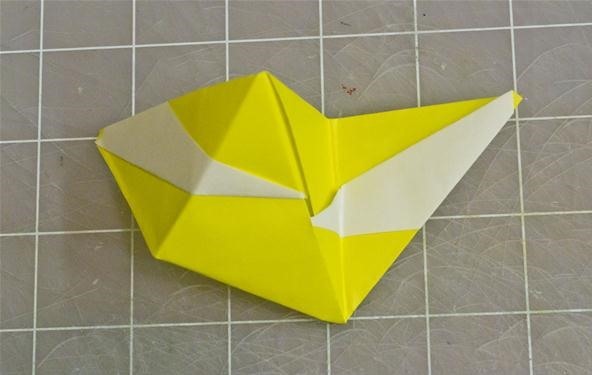 Follow the steps to make a standard Sonobe unit until you get to this point. 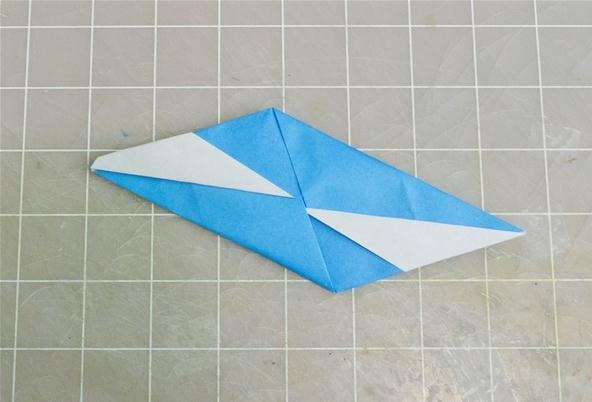 Fold the end flaps over so that you are bisecting one of the acute angles of the parallelogram. 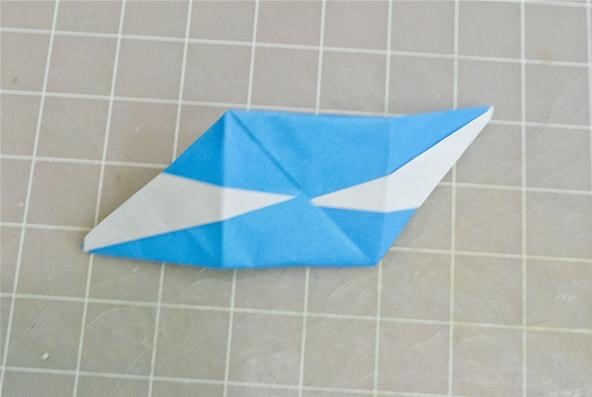 Repeat with the other side and fold the excess paper over so that it can't be seen. 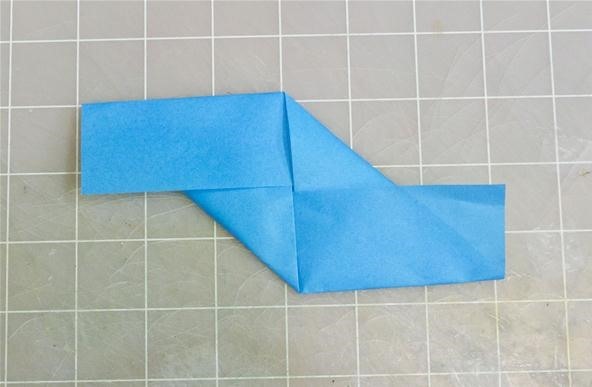 Make a standard Sonobe unit and then change two of the fold directions so that it looks like this. 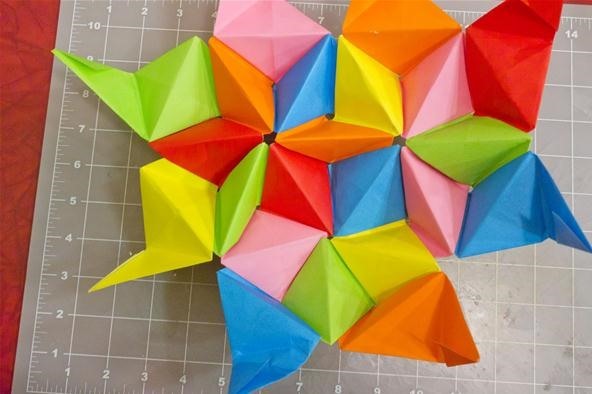 Now take two of these and connect them to each other to make a compound unit. Build 30 compound units from 60 Sonobe Units. 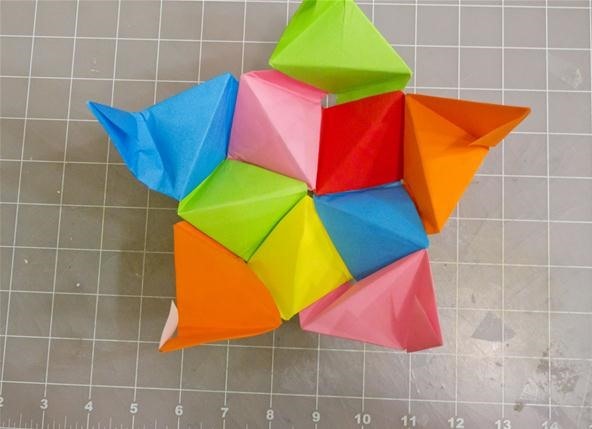 Take 5 compound units and form a ring of 5. Construct more rings of 5 from these units. 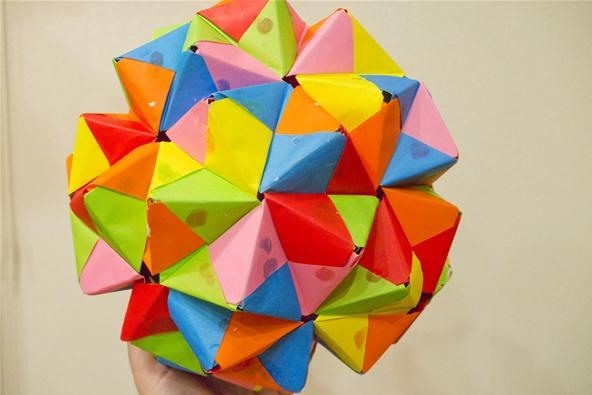 If you keep continuing this, you will build the Pentakis Dodecahedron. 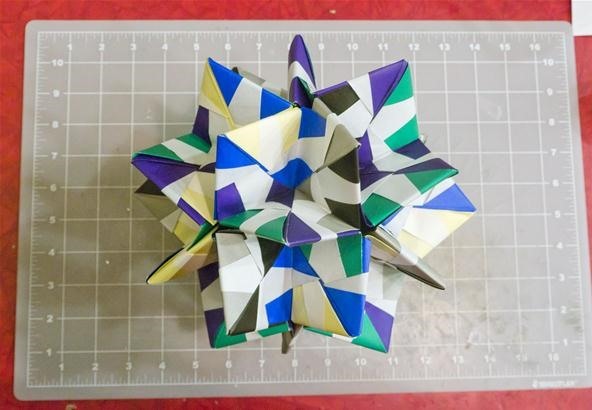 This post/video shows the entire process of making the pentakis dodecahedron. 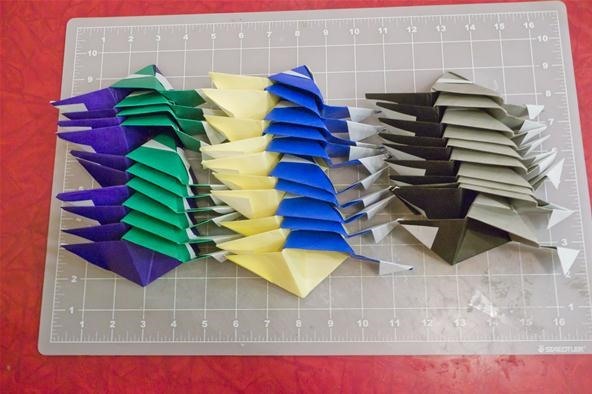 Now connect an additional unit to each of these rings of 5 to form rings of 3. Construct rings of 5 from each of the flaps from the rings of 3. These rings of 5 should be connected to each other via rings of 3. Getting close to finished. It is closing up tightly. 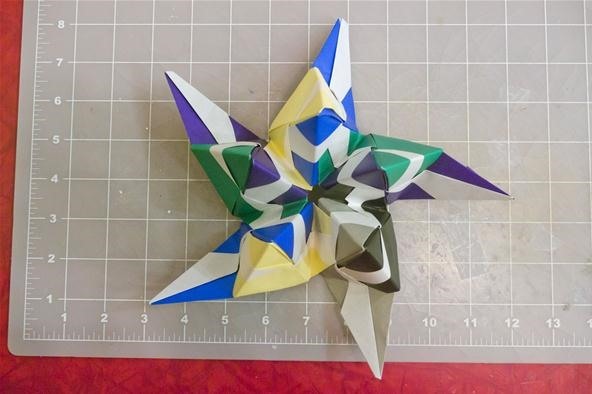 The finished model showing pentagrams and pentagons. 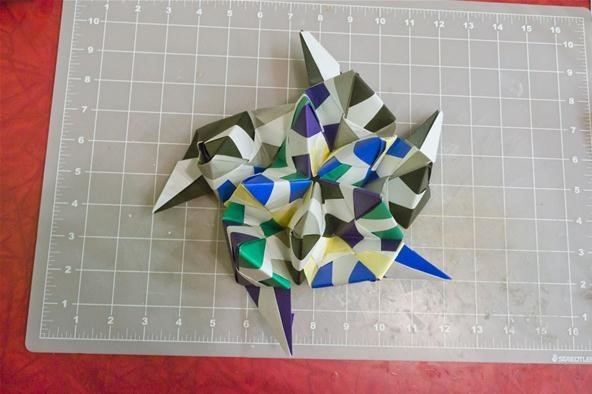 The finished model from a different direction showing what looks like isometric cubes. 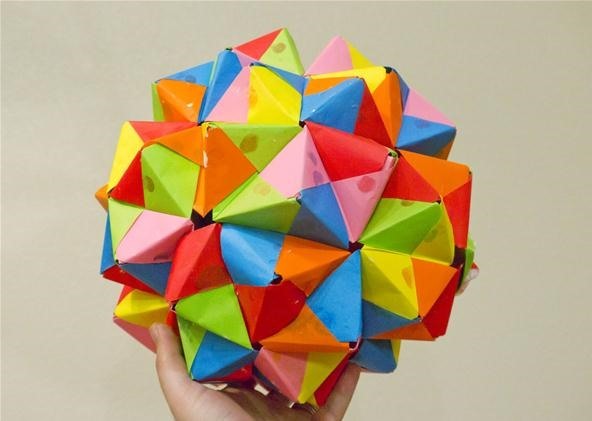 To build this model, I strongly suggest looking closely at pictures of the rhombic triacontahedron. 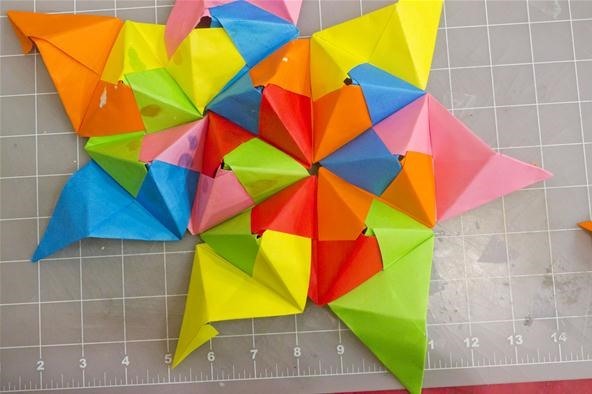 If you complete any of these projects, any of the variations, or any of the other previous Math Craft projects, please share with us by posting to the corkboard. 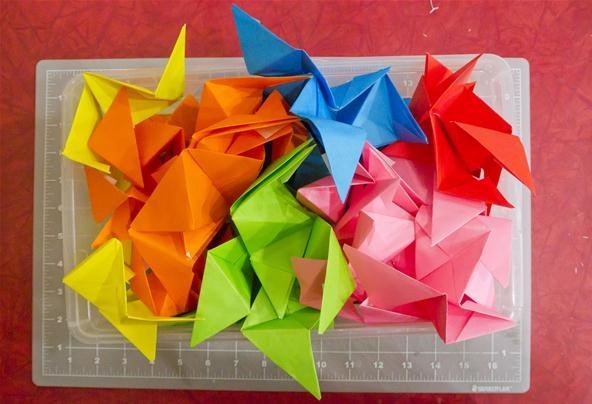 Maybe you just have something cool that you made or saw on the web—you can share that, too! 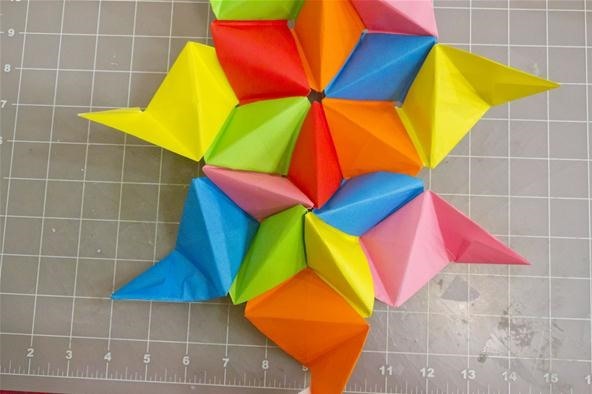 Yeah really- this is amazing- it combines origami with geometry! Thanks. I was really happy with the second model. I'm sure someone has made this before...but I'd never seen it. 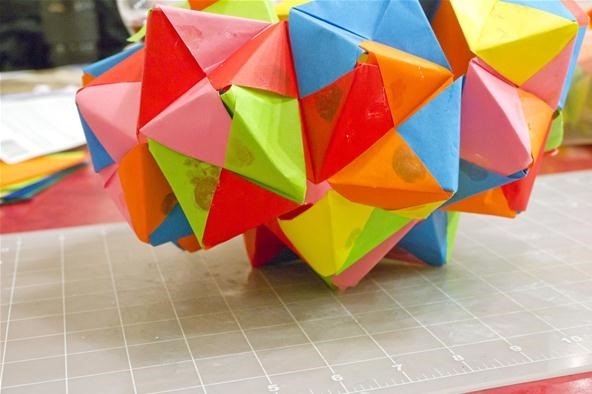 I think the Truncated Icosahedron would probably work better with a smaller paper size. I used 6 inch squares. 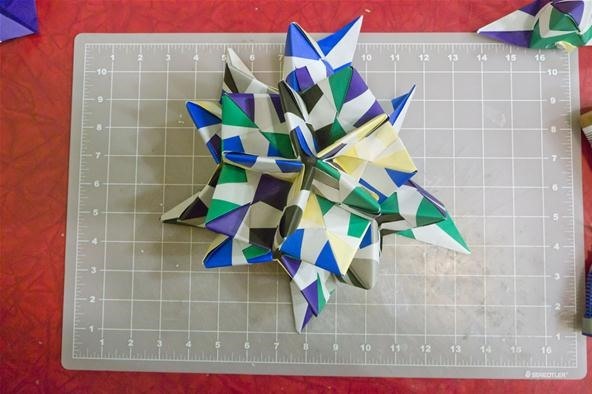 The model becomes a little floppy. 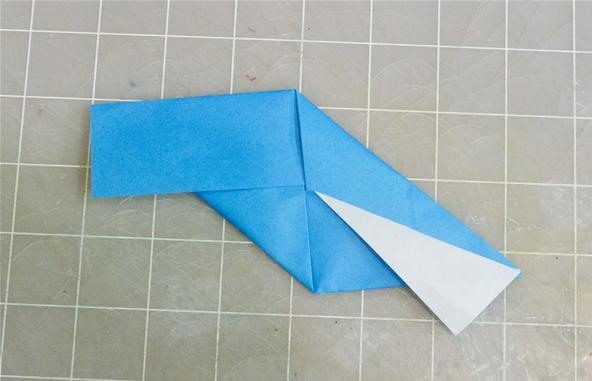 Perhaps if the folds were more precise...I'm fast...but not that careful. Thanks. That sounds like it would be a good resource. I'll have to check it out. i just tried an octahedrom lately.